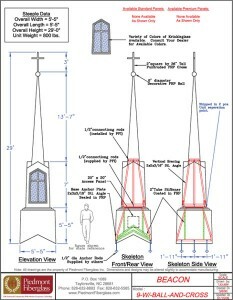 The recommendation for the height of a church's steeple is to be approximately the same distance from grade to roof peak of building (meaning ground to the highest part of roof line). 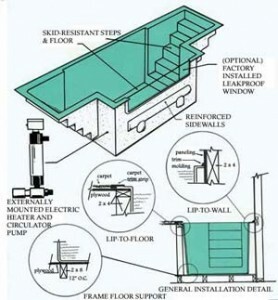 The recommended base width is 1/10 of the overall width of the building. 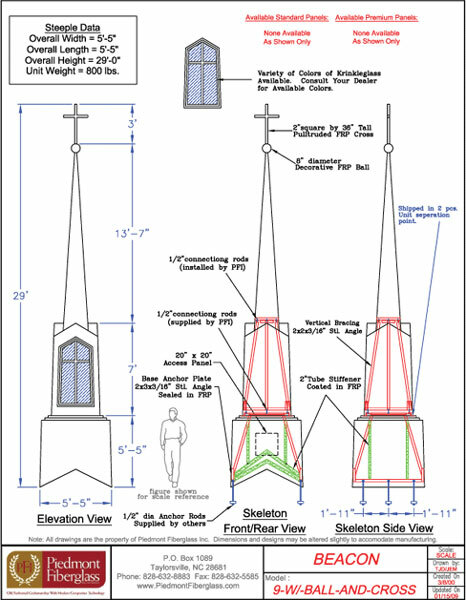 Church steeples are divided into four categories, based upon their overall height. 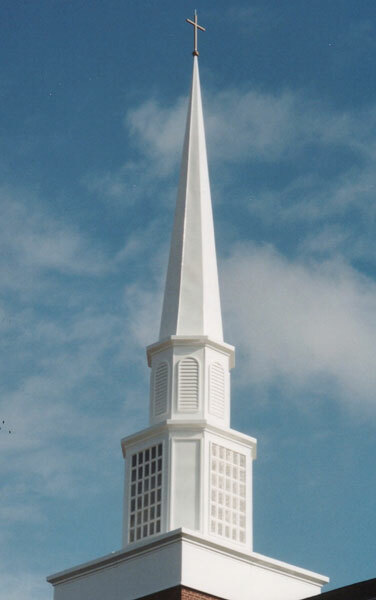 Categories are Ambassador, Beacon, Premier, and Architectural series, which provide an array of configurations and sizes that include details that are standard along with optional accessories to select from during the church building or renovation process. 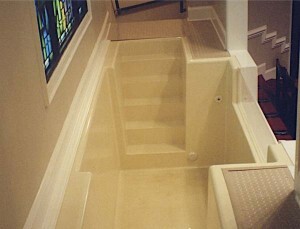 A church's baptistery should be drained after each use. We recommend you consider adding the option of the Aqua Seal barrier coat to the standard Gel Coat finish, if you are planning to leave your baptistery filled with water for extended periods of time. 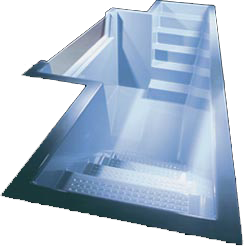 The additional barrier assists in preventing water from penetrating into the glass laminate and potentially causing blistering to occur. When you purchase a baptistery and a heating system from our company, we now have the pre-plumbed heater options available to you. 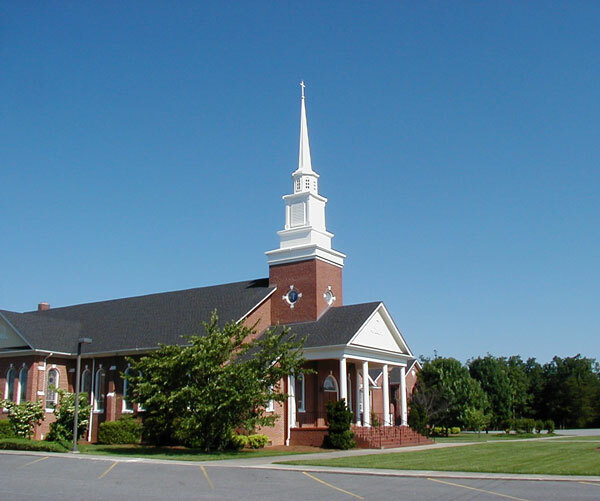 This factory installed system ultimately saves your church money on on-site plumbing expenses and extra installation costs.